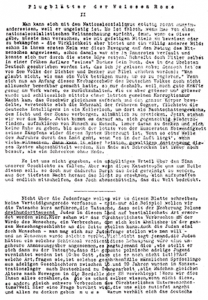 Leaflets of the White Rose | Weiße Rose Stiftung e.V. 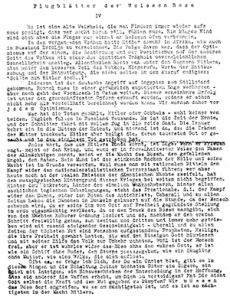 “Leaflets of the White Rose” is the title that Hans Scholl and Alexander Schmorell give the first four leaflets that they write, duplicate and distribute in the summer of 1942. 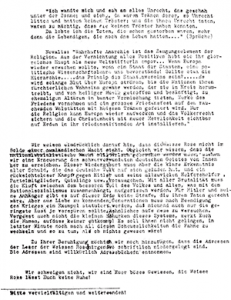 With the help of their friends, they produce a fifth leaflet entitled “Leaflets of the Resistance Movement in Germany” in late January 1943. 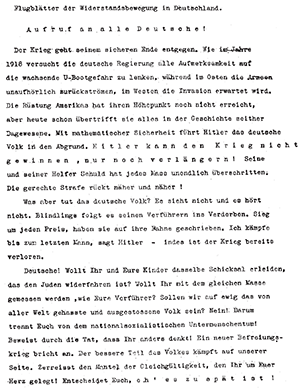 This is followed by the leaflet “Fellow Students!”, mostly written by Kurt Huber. 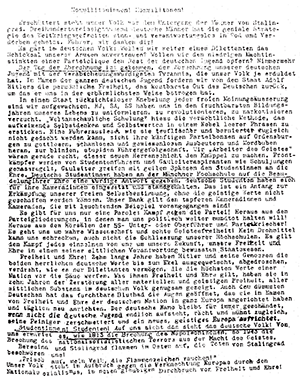 It is while distributing this last leaflet in the university on 18 February 1943 that Hans and Sophie Scholl are detained. 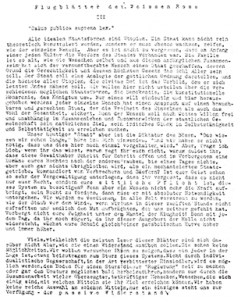 Hans Scholl is carrying the draft for a seventh leaflet, handwritten by Christoph Probst, in his coat pocket. 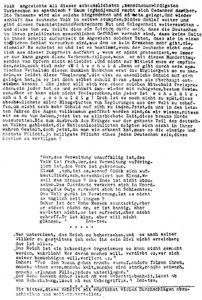 The first four leaflets are written between 27 June and 12 July 1942 at Alexander Schmorell’s parents’ house in Munich. 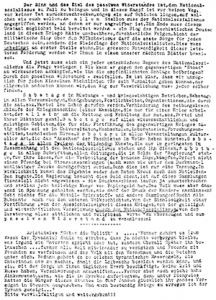 With these leaflets, the students appeal to the political responsibility of the ‘German intelligence’ in particular. 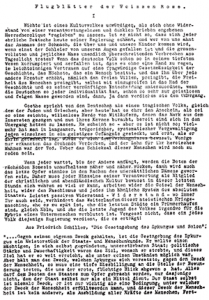 In order to convince these readers especially of their moral duty to resist, Scholl and Schmorell use extracts from classical literature to make their argument. They mention the impending military catastrophe several times so as to rouse the population. 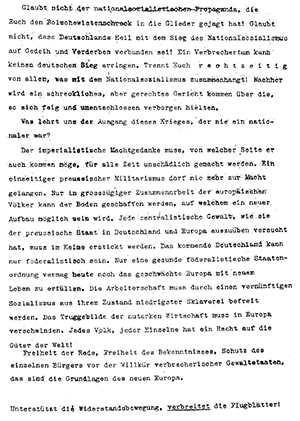 They themselves reject the war and view Germany’s defeat as a precondition for a new beginning. 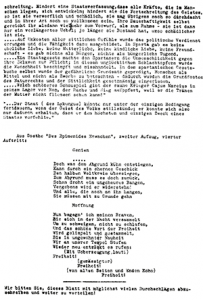 Facsimiles of the leaflets as well as translations of their texts in English, French, Italian, Norwegian, Polish, Russian, and Spanish are available from the White Rose Foundation / Weiße Rose Stiftung e.V. and the DenkStätte Weiße Rose upon request. Please contact our office.